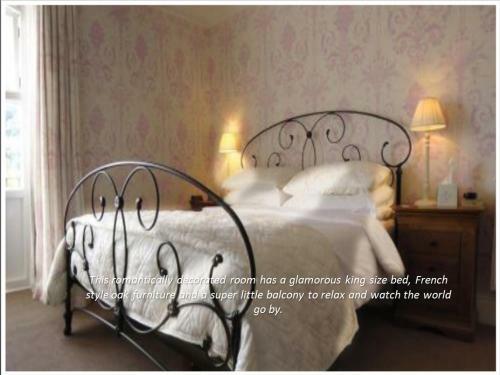 An elegant victorian, former gentlemans residence in the heart of Lynton. Lee House provides excellent quality bed and breakfast accommodation in the beautiful Exmoor National Park town of Lynton, an ideal location for exploring the unique landscape of Exmoor`s coast and countryside, walking the South West Coast Path along the spectacular North Devon coastline, visiting the Valley Of Rocks and Watersmeet or taking a ride on the unique cliff railway. Please take a look at our Gallery to see more of our beautiful surroundings. 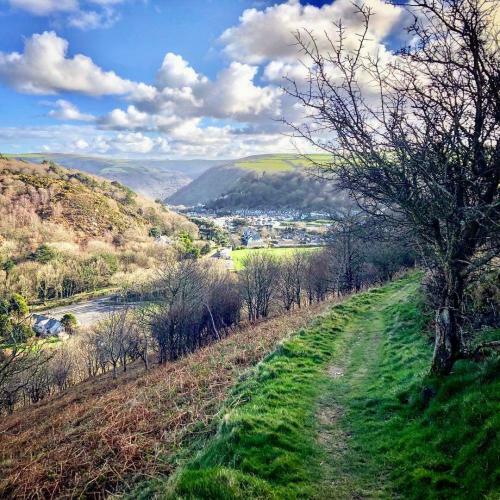 We are in the heart of Lynton so ideally situated for shops, restaurants and local services (photo courtesy of the Lynton &Lynmouth Tourist Information Centre). Lee House has been sensitively refurbished to combine tasteful classic charm with modern convenience. Our seven spacious en-suite double and twin bedrooms are individually styled, well furnished and beautifully decorated, complete with everything you need for a comfortable stay. Two of our rooms at the front of the property - East Lyn and West Lyn have balconies so you can sit and soak up the sun as well as taking in the beautiful valley views and the rolling hills surrounding us. An extensive breakfast menu offers something for everyone, including guests following vegetarian, vegan and gluten free diets. Please see our breakfast page for full details. Eating out is easy too, with a range of restaurants and pubs just a few mintes walk away. Lee House also provides guests with a free private car park, complimentary network services and WIFI access, south facing sun terrace and guest sitting room with local interest books, maps and walking route suggestions . We are situated in the heart of Lynton on Lee Road. 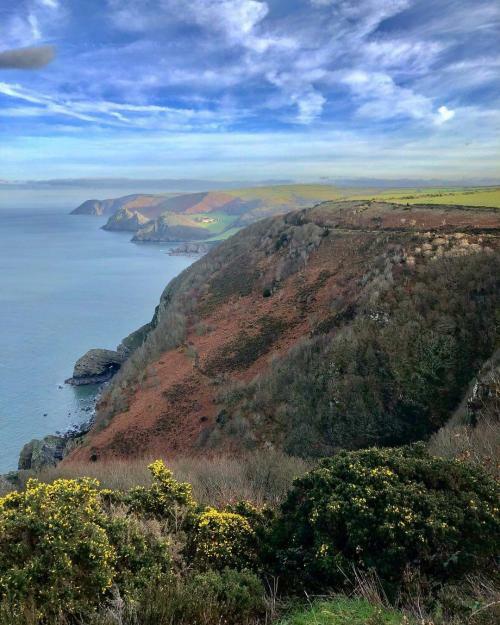 There are many wonderful walks from Lynton and Lynmouth and many guests leave their car in our car park for the duration of their stay as they explore the amazing countryside we have on our doorstep (photo courtesy of the Lynton &Lynmouth Tourist Information Centre). The sun terrace, a lovely place to sit in the south facing front garden is the ideal place to relax after a long walk, watch the birds play in the birdbath read a good book or to simply sit back and enjoy the view. In the summer, afternoon tea can be preordered and enjoyed on the terrace or if you prefer, in the sitting room. 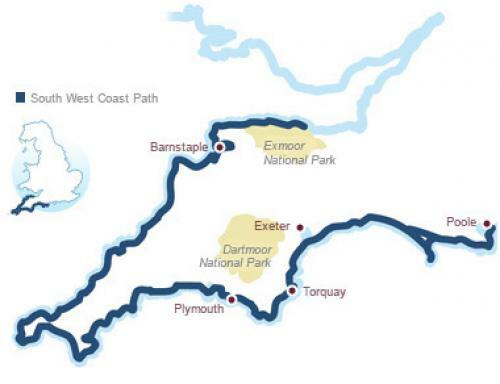 Please take a few minutes to explore our website, to read about Lee House and Exmoor and to check our events diary. We are also on Facebook, Twitter and Instagram - just search Lee House, Lynton - where we post pictures we have taken of Lee House, the surrounding area and events that are happening - or have happened nearby. If you have any questions regarding staying with us please use our contact page on this website or ring us on 01598 752364 or 07957 948235. This lovely room provides spacious accommodation and your very own private outdoor seating area.The Garden Room's patio catches the afternoon sun, making it the ideal place to relax and unwind after a day exploring Exmoor.NB Access to this room is up 1 flight of stairs. The Garden Room has flatscreen TV with ‘freeview’, thermostatically controlled central heating, clock-radio, a Welcome Tray with fresh milk, replenished daily, hairdryer and complimentary full-size toiletries. The room is shown as a twin but can easily be converted to a super-kingsize double. Sir George offers flatscreen television with Freeview, thermostatically controlled central heating, alarm clock/radio, complimentary tea & coffee making facilities, hairdryer. En-suite facilities with shower. This is such a pretty room, bright, fresh and spacious, the picture doesn't do it justice!The super comfy bed and beautiful French style solid oak furniture complement the styling of this lovely room. The room includes an en-suite shower.Guests love this room for it's private South-facing balcony with views across Lynton village and Summerhouse Hill.